We reported a couple of days ago about an A Bola report in Portugal that Newcastle United were after box-to-box Porto midfielder Hector Herrera, but it was unclear whether it was for a summer move or a move next month. There have been reports since that Rafa wants him for the January transfer window, but there are a couple of problems with that. One is that there seems little chance of Porto wanting to let one of their very best players leave half-way through the season. The second reason is that Herrera may not want to join second division club Newcastle, unless it’s absolutely certain we will be promoted in May back to the Premier League. But it does make sense that Rafa is after the 48 times capped Mexican International since he was keen to get him to Napoli when he was manager there from 2013-2015. And even after Rafa left Napoli, there were reports in the summer that Napoli had agreed terms with the 26 year-old Mexican, but nothing came of that. We also don’t believe the deal would be out of line at Newcastle, because Rafa is going to have to bring some top players to Newcastle, if we are to become a team that can win trophies in the near future. We are short of class and creativity in midfield and at the moment the only player who fits that category is Jonjo Shelvey – and it’s an area we need to strengthen. 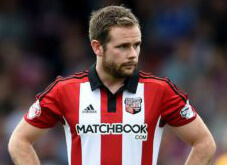 Newcastle were also interested in 28 year-old Brentford playmaker Alan Judge, but it’s looking less likely Newcastle will make any move for him in January. However, if he does make a comeback from his broken leg and plays well through the end of the season, Rafa could still make a move for him in the summer. So these are two of the playmakers we are currently tracking and there will be a lot more competition for Herrera than for Alan Judge, whose contract at the Bees runs out next June. 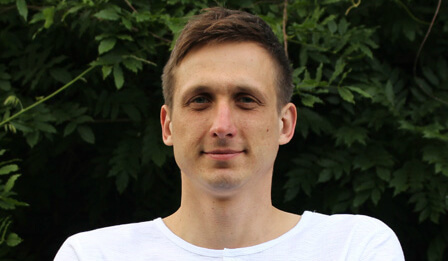 Alan started his career at Blackburn and then left for a couple of years to join Notts County before returning to the Lancashire club in 2013, where he only stayed for six months before joining Brentford. Alan stands around 5ft 7ins tall and in his two and a half years at the Bees he’s played 102 games with 24 goals and 31 assists. While he was at Notts County for two years he played 111 games with 17 goals and 27 assists. Hector Herrera gained his first full cap for Mexico back in 2012, and won the Olympic gold medal in the Olympic football tournament in London. He was also part of the Mexico side that won the 2015 Gold Cup, and he represented his country two years ago at the 2014 World Cup in Brazil. The Guardian listed him as one of the 100 best footballers in the world in 2014. If we could somehow get both Judge and Herrera to the club then with Jonjo Shelvey we would have a lot more class and creativity in central midfield. They would certainly be two good players to bring into the squad, whether we can get them in January or in the summer. You know, I bet they aren’t. Fellaini? What????? I thought we were done with these user – permed jokers? This Herrera link is a minor rumour from a poor paper based on us (and the rest of Europe) having scouts at a Porto game isnt it? For those still claiming that Shelvey did not kick out, you’ve all read this as it was on this blog. Ritchie and Shelvey are adept at playing cross-field balls. Fellaini is fairly talented when it comes to pulling the ball out of the sky – so it could in theory work. I guess it will come down to what Benitez is planning, but I would take Fellaini over Diame & Perez… if you were to sell Diame & Perez, I would imagine the fee & wages for those 2 players would just about cover the cost of Fellaini. Thetefore the FA did not decide he didn’t kick him or decided he did but never made contact. Like sitc says, they can’t very well say that we’ve just ignored the rules because there has been a serious injustice throughout the game but we have, sorry about the three points. Jail…… There is a definite grey area here between vigorous dis entanglement and a deliberate kick. Herein lies the confusion and I am wondering if there is anything in the rules that differentiates between the two. Hopefully Bobby can throw some light on this when he returns. WWSBRD, yes, using aerial knock-downs may not be in Benitez plans. I recall last season when Southampton done us twice, Pelle coming out and winning headers with Mane running in behind. Fellaini is the type of player that could offer a similar direct route of football, if required. The assumption that if a player makes contact by kicking another player – that’s it he gets a three game suspension by the panel is not correct. Used to be that a couple of years ago but not now. Jail, as per my previous, Shelvey was probably cited as striking the nugget in the gob. When it was proved that he didn’t, anything else in that incident likely would be deemed to have been considered and thereby dismissed by the referee in play. Shelvey may well have kicked out, but they were probably rendered powerless by the refs decision not to cite it. Not sure if you’re having a larf but Rafa must have discussed the incident with Shelvey before announcing that Shelvey was kicked first before kicking back, I suppose no matter what the evidence is if somebody doesn’t want to believe something they won’t. and it’s not doing mr arrogante much good either. Rafa as wrong as ref and linesman. Just watch the replay and click stop and start through the whole sequence. Shelvey does nothing but get himself back on his feet and move toward his position. If he kicked at him, he would have taken a look to see how well he had done. Sorry but I’ve just watched the shelvey red card and I probably sound biased but I don’t see any stamp by him. There’s a tangling of legs instigated by lanstwat and both wriggle their legs free. I don’t see any malice or intent by Jonjo. As for the dummet one lanstwat conned the ref plain and simple. He didn’t have to stop dead but did so as he knew dummet couldn’t stop. I’ve read the forest fans comments on the mag and you’d think they lost the game! Absolutely unbelievable, we lost three points due to one of your players cheating and showing lack of sportsmanship to fellow professionals. He also looks like a right knob with that haircut too. Should be made to shave his head!